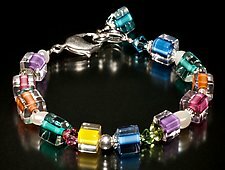 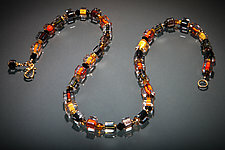 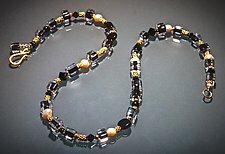 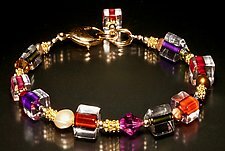 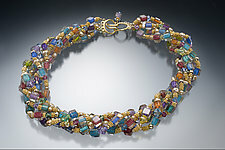 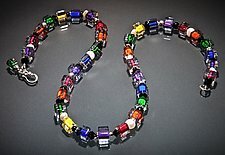 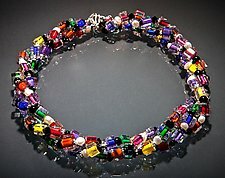 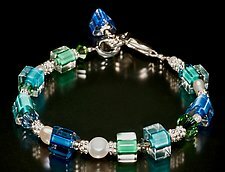 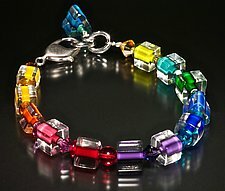 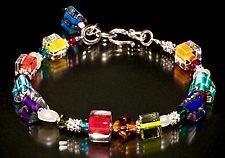 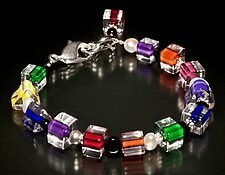 "With delightful blends of rich, vibrant colors, my beaded glass jewelry is uniquely fun and comfortable, and will bring joy and compliments for many years to come." 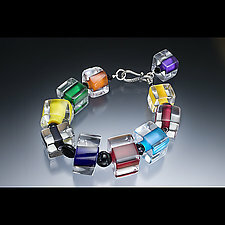 Each Penrose Studio design uniquely captures the inherent beauty of Ricky Bernstein's blown glass beads. 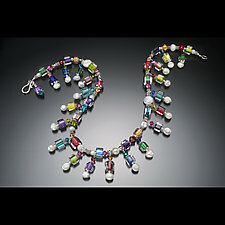 Each bead is handcrafted in the 2,000-year-old tradition of hot glassblowing. 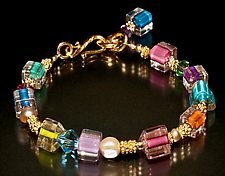 By creatively adding colorful accents of Czech glass, sparkling Swarovski crystals, cultured freshwater pearls, and gold vermeil, Ricky Bernstein creates long-lasting, well-designed jewelry with unsurpassed color, clarity, and collectability. 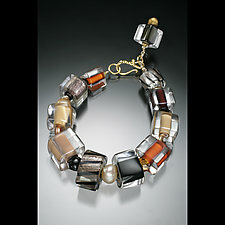 Ricky Bernstein learned to blow glass nearly forty years ago at the Pilchuck Glass School in Washington. 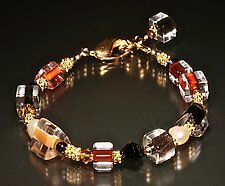 He achieved further design training with a BA in art from the University of Massachusetts and an MFA from the Tyler School of Art in Philadelphia. 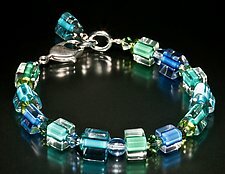 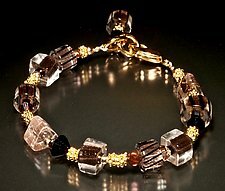 He has also taught glass workshops throughout the USA. 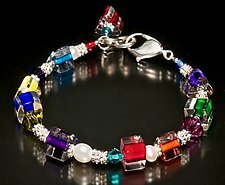 Bernstein donates 25% of his profits to Hands in Outreach, an educational sponsorship program for poor, inner-city girls in Nepal.